While lack of sleep contributes to trucker fatigue, there are many other factors that can cause a driver to become drowsy. Fatigued commercial vehicle drivers are prone to lapses in judgment and delayed reaction times that can result in fatal accidents. It is important for all drivers to understand the causes of fatigue and to take steps to protect themselves on their next trip down the road. Lack of quality sleep is a significant cause of commercial truck driver fatigue. Quality sleep is defined as an uninterrupted period of rest that is sufficiently long enough for an individual to wake rested and alert. Poor sleep quality leads to impaired judgment. Individuals who go without sleep for more than 17 hours are equally as impaired as an individual who has a BAC of .05. Fatigue can also be caused by driving during times when individuals are normally sleeping. For most people, this is in the late night or early morning. Commercial truck drivers often drive late at night. Their drowsiness may be enhanced if they drive at night after spending extended periods on the road. Finally, sleep disorders and health conditions can contribute to commercial truck driver fatigue. Sleep disorders prevent drivers from waking up rested, and underlying health conditions can quickly sap an individual’s ability to focus and remain alert while driving. These problems can be exacerbated if individuals are taking medications that make them drowsy. Fatigue can manifest in persistent yawning, sore/heavy eyes, daydreaming, or short-term memory lapses. Signs also include delayed reaction times, lane drifting, and difficulty maintaining a consistent speed. Many of these are visible signs that all motorists should watch for as they travel so they can avoid collisions with motorists who are falling asleep at the wheel. Commercial truck drivers who recognize signs of fatigue can take proactive steps before an accident occurs. 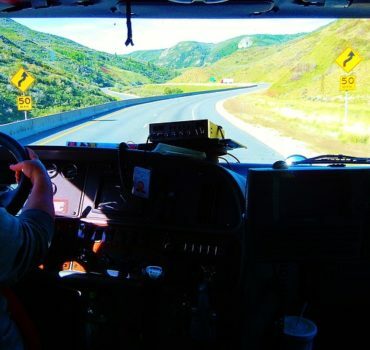 These steps include taking power naps, eating a healthy meal, and adhering to FMCSA hours of service regulations that specify required breaks and time away from work. Drivers who fail to adhere to the regulations and monitor their driving condition negligently place themselves and other motorists at risk of serious injury or death.